We know that Yahoo has signed a deal with Google to allow Google Ads to be served on Yahoo Search Results. But there hasn’t been much said on where and how these Gogole Ads might look like when intergrated into Yahoo! In fact, Yahoo did release a presentation titled “Yahoo! Presentation to Stockholders” in June 2008 offering some eye candy of how the deal might work out. 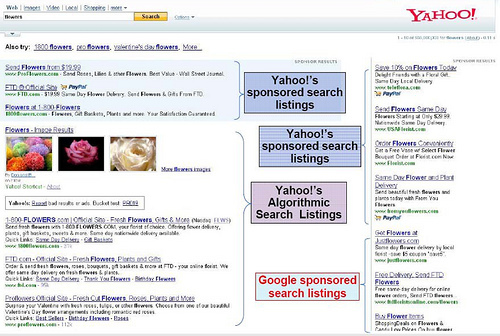 You advertise with Yahoo Search Marketing (YSM). Don’t forget to get $25 of free YSM PPC credits if you’re opening a new account.